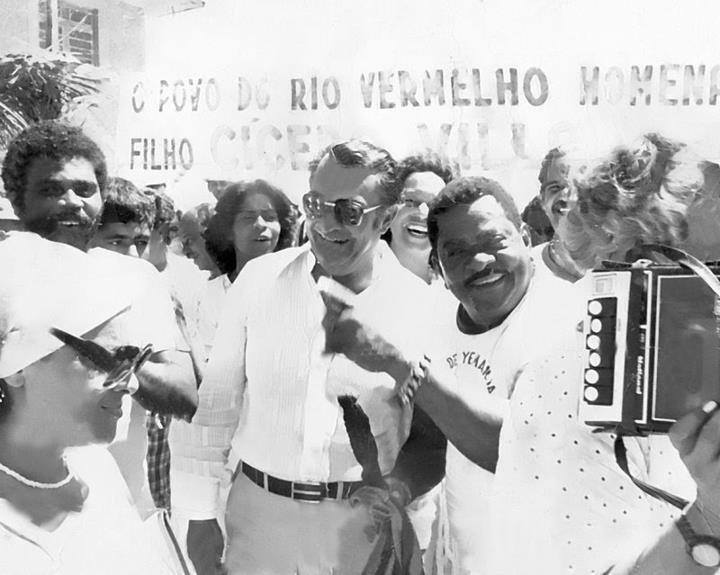 1924 - Was born on the 8th of May in Cachoeira de São Felix son of Adélia Maria da Conceição. 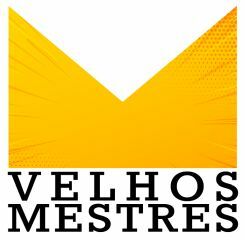 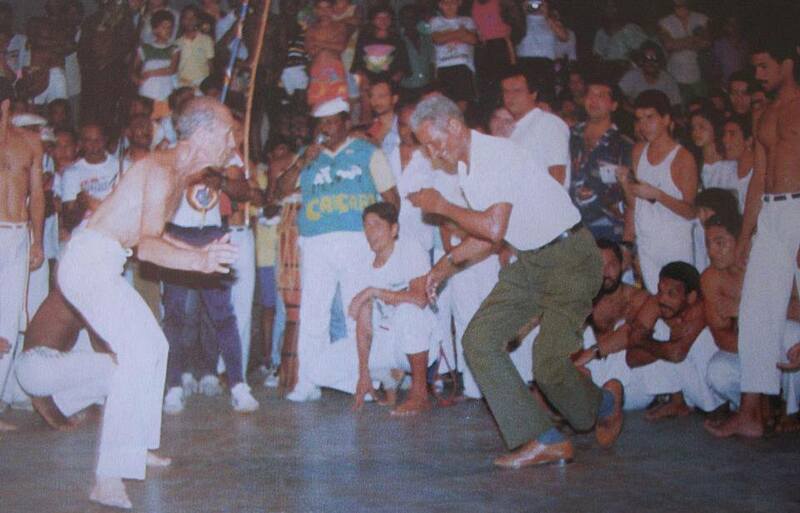 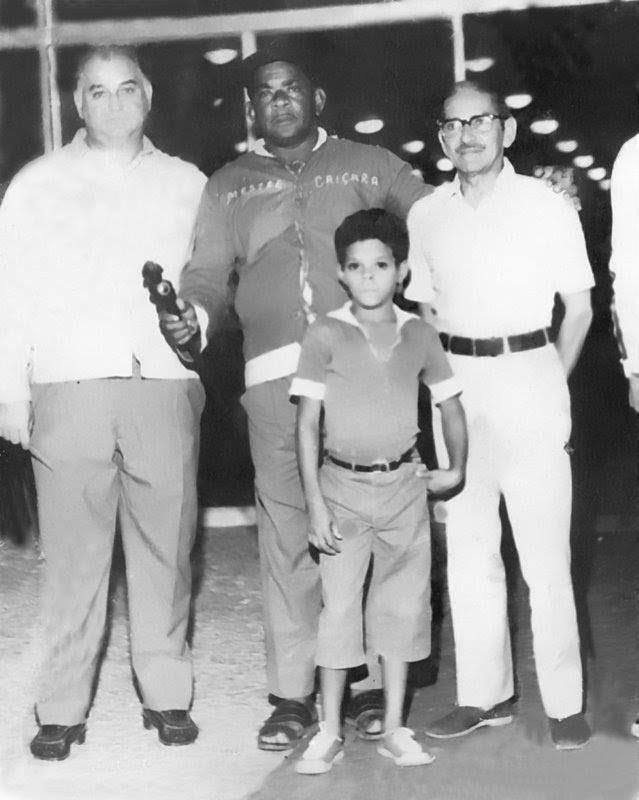 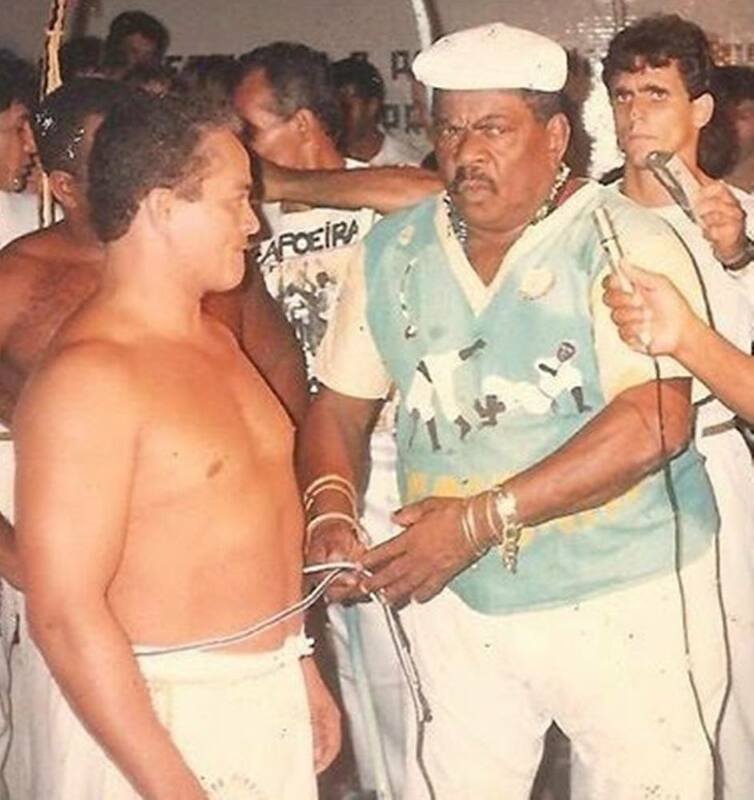 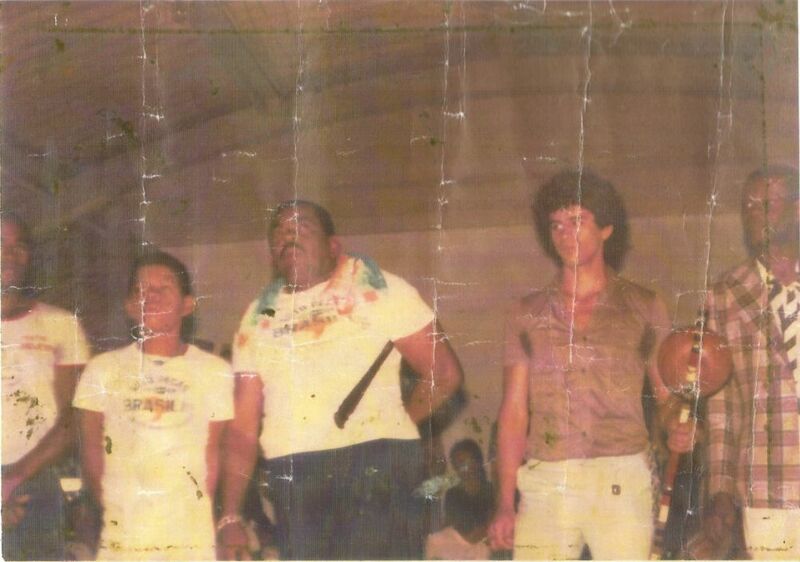 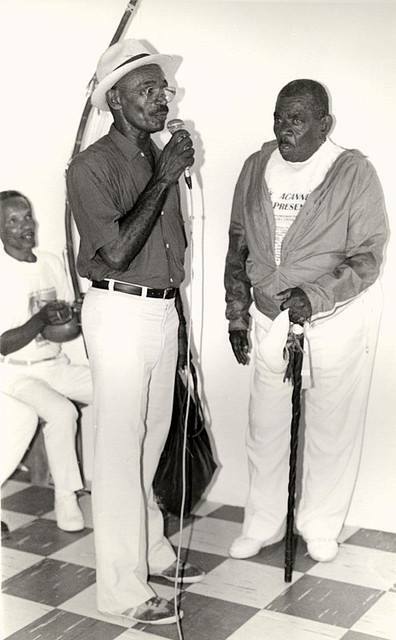 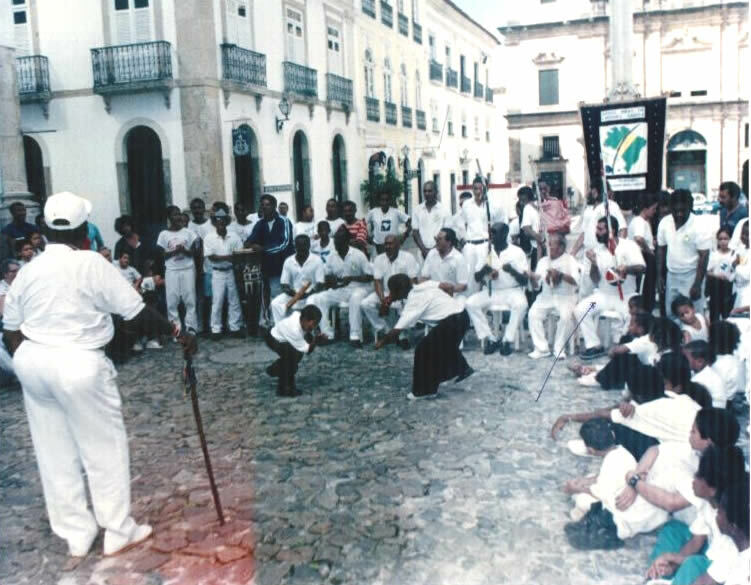 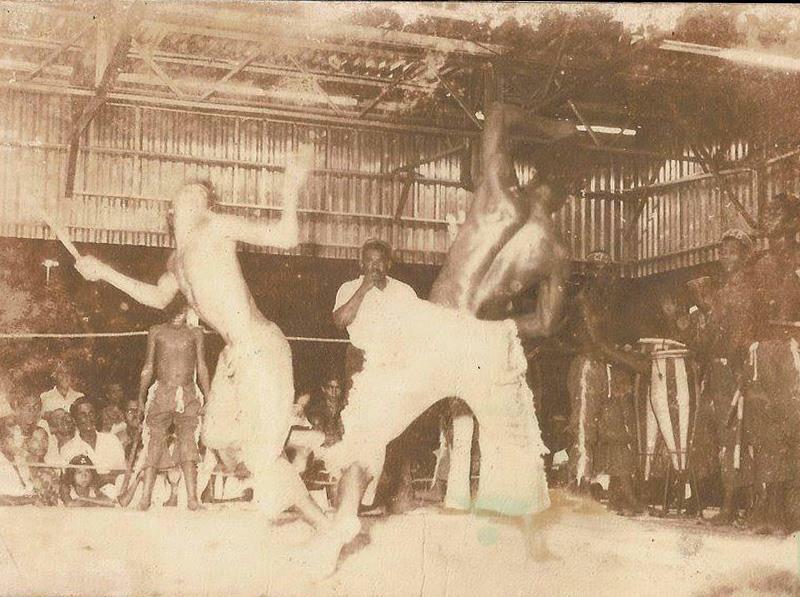 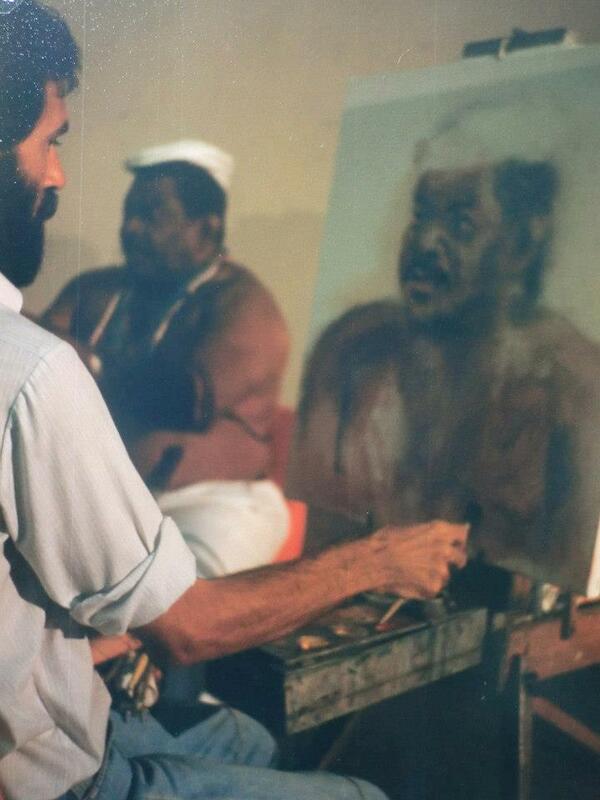 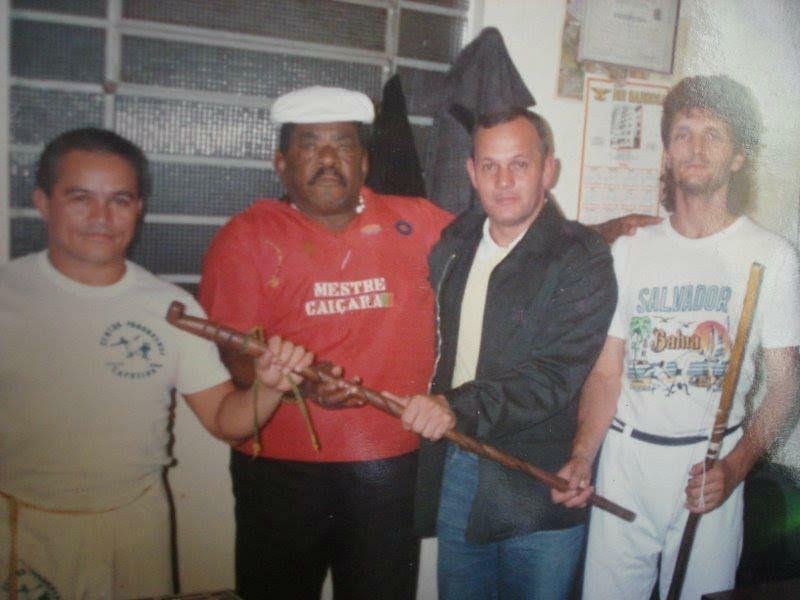 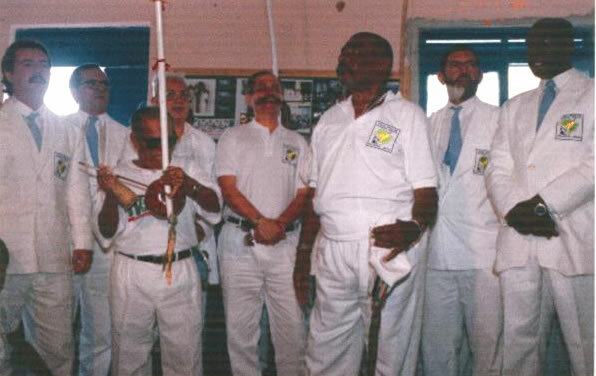 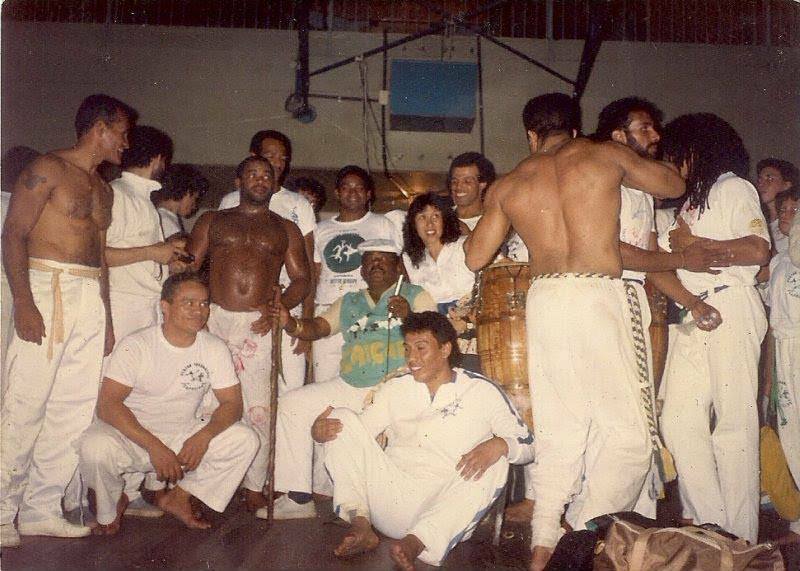 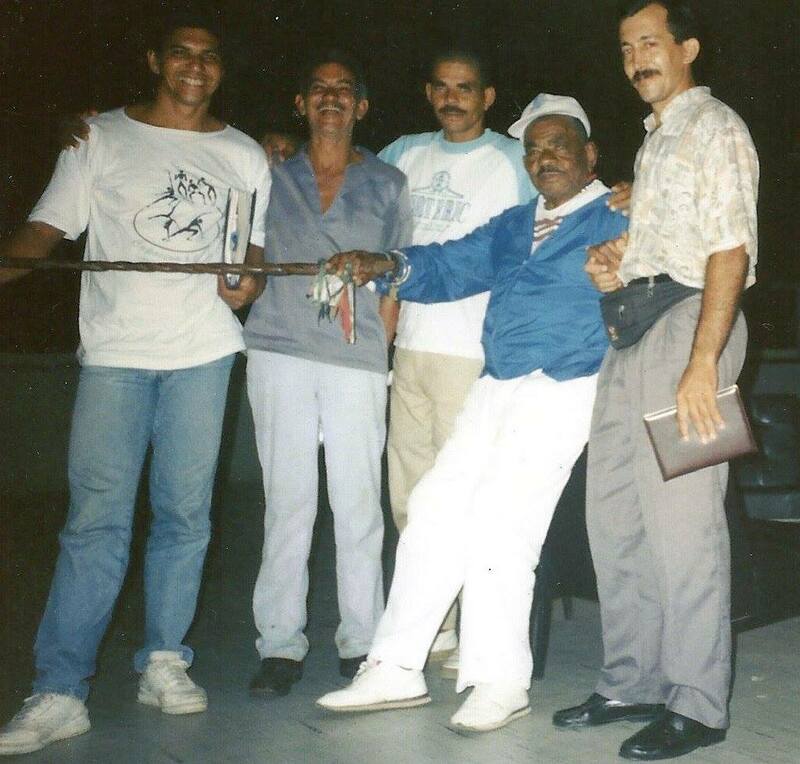 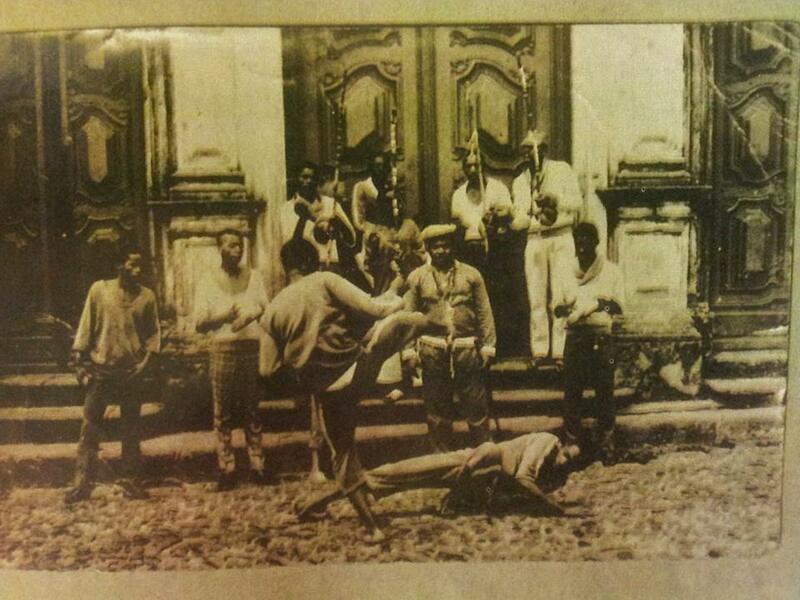 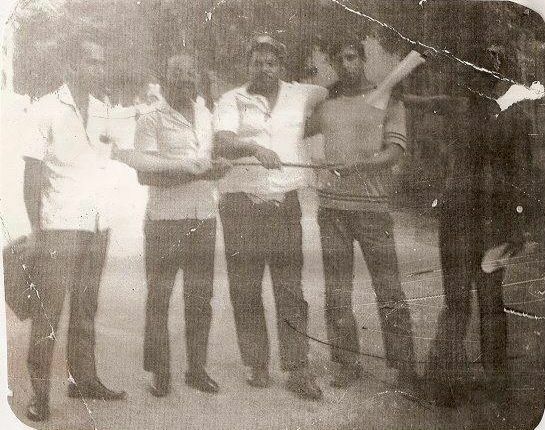 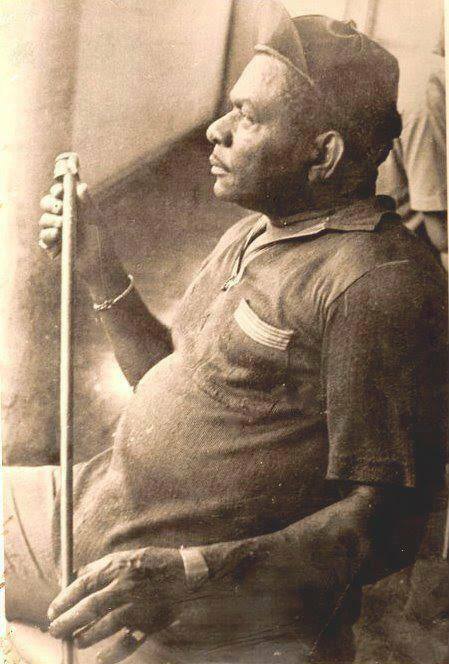 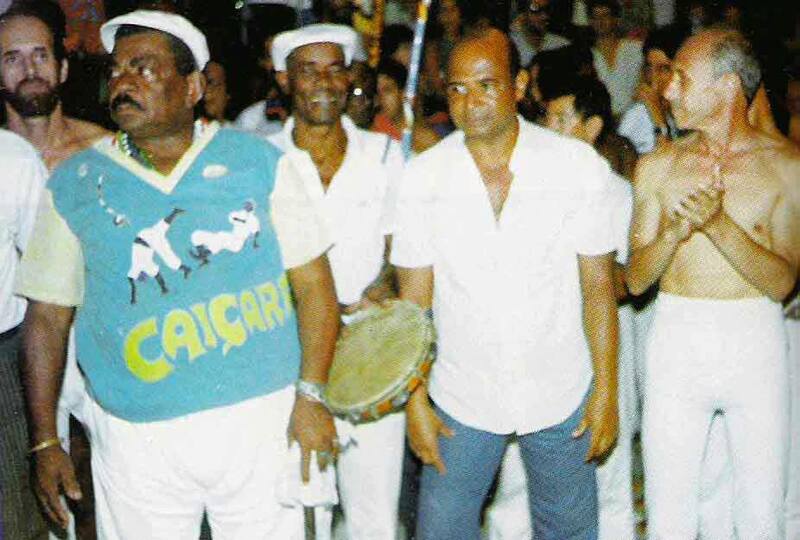 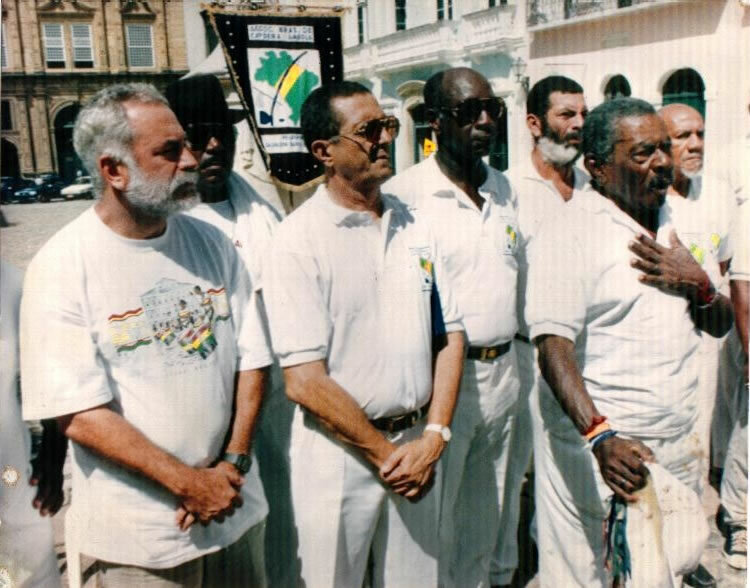 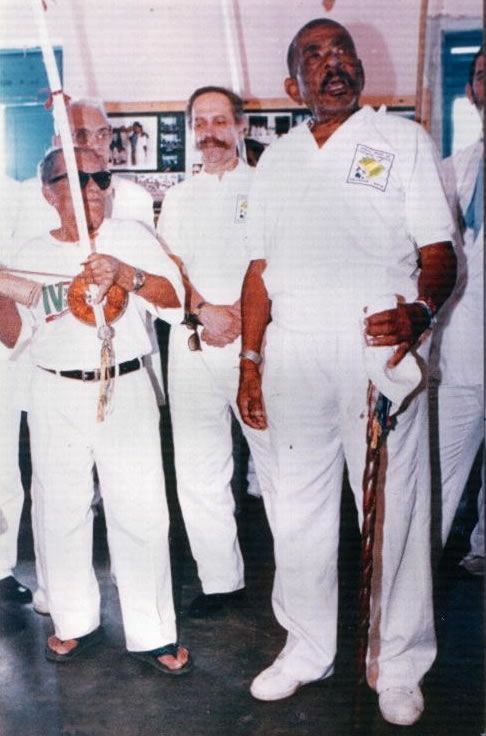 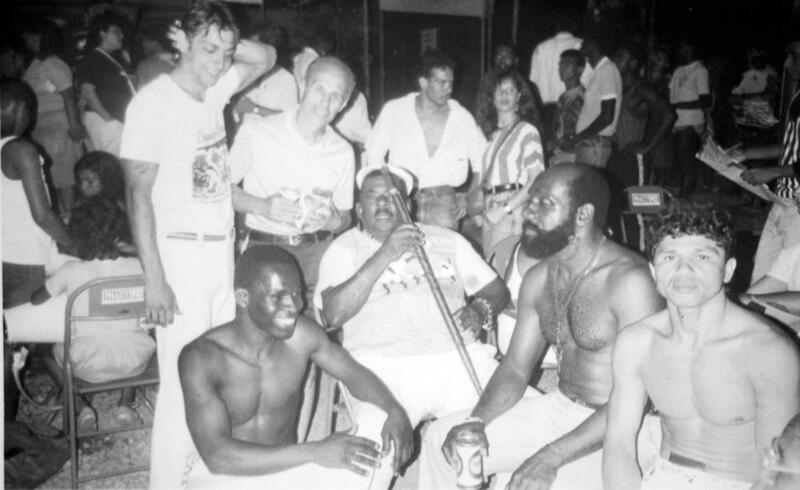 1938 - Started to learn capoeira with M Aberré de Santo Amaro (Antônio Rufino dos Santos). 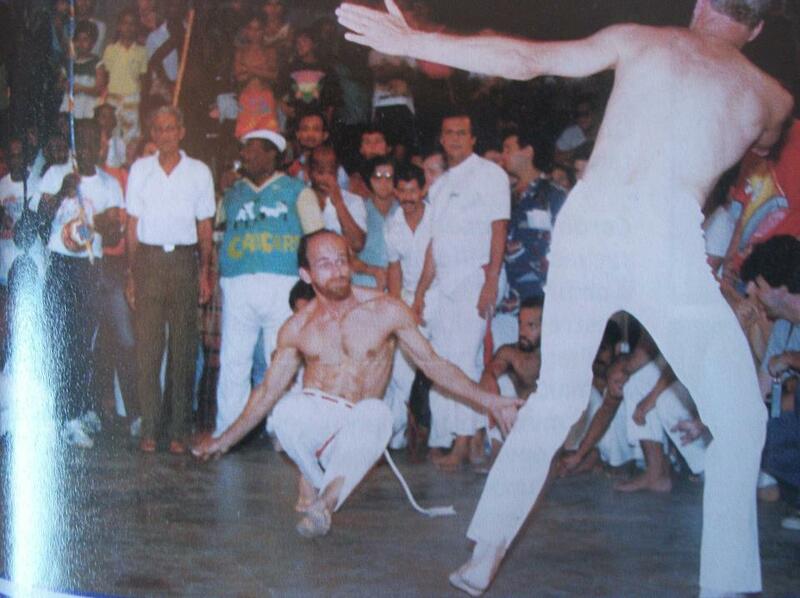 Later learned with M Waldemar (in the 50s?). 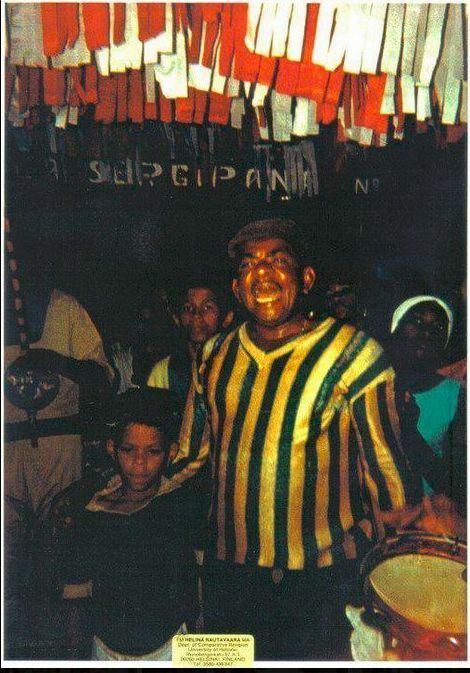 1954 - Appears in the film called Vadiação and on Marcel Gautherot's photos. 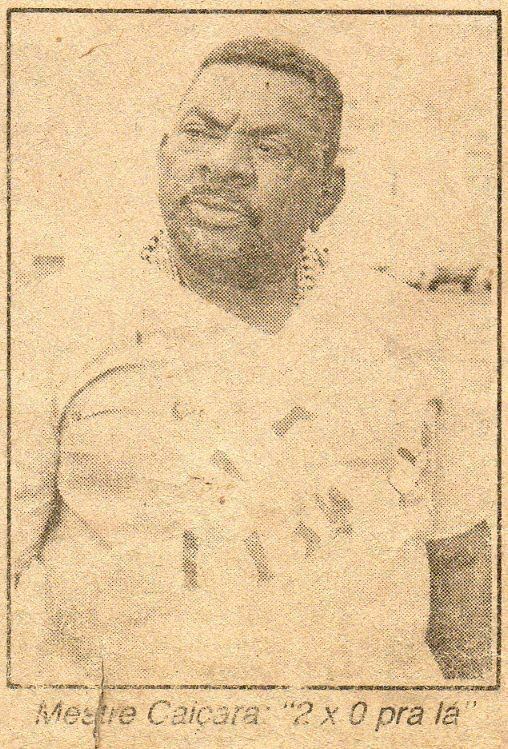 1964 - Appears on Helinä Rautavaara's photos. 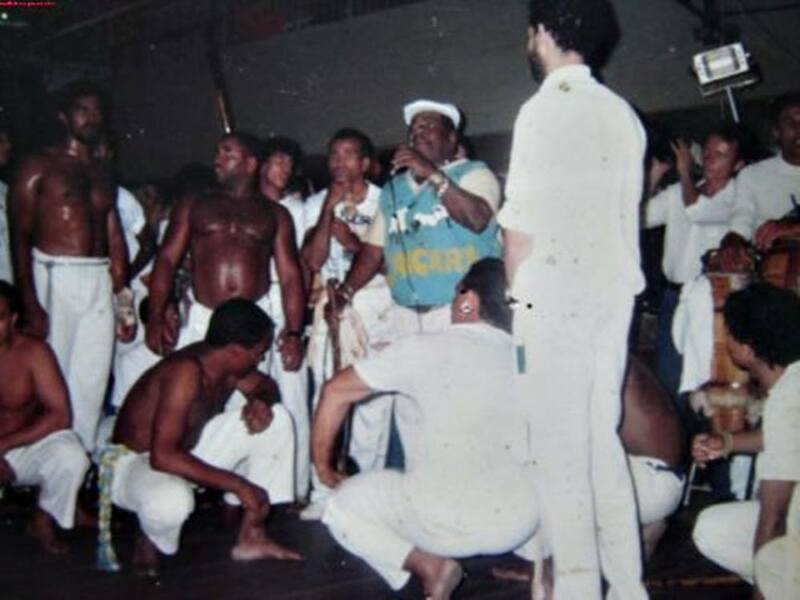 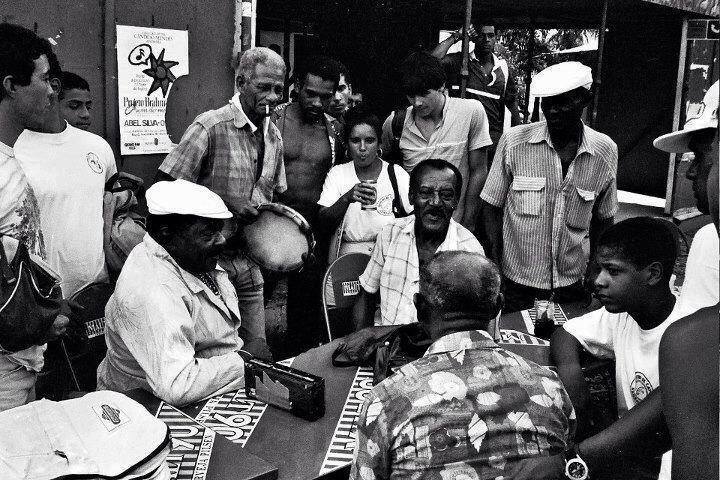 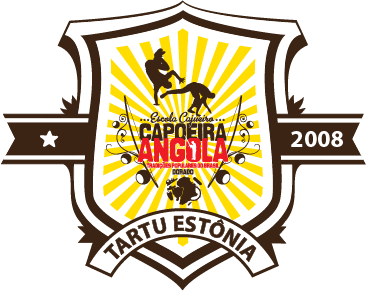 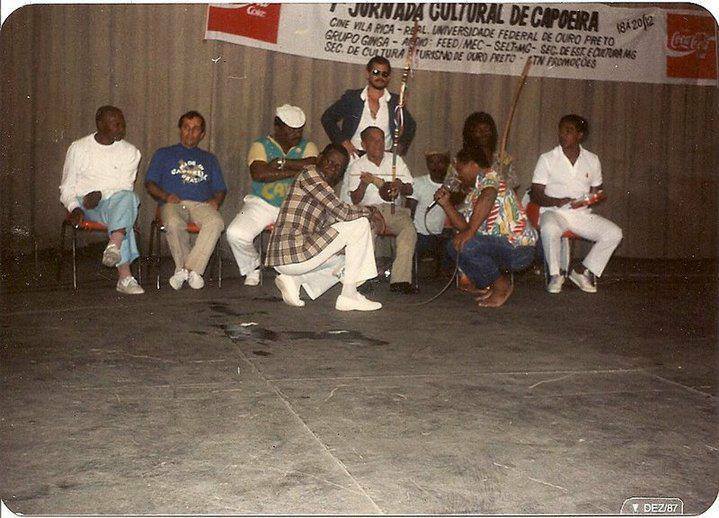 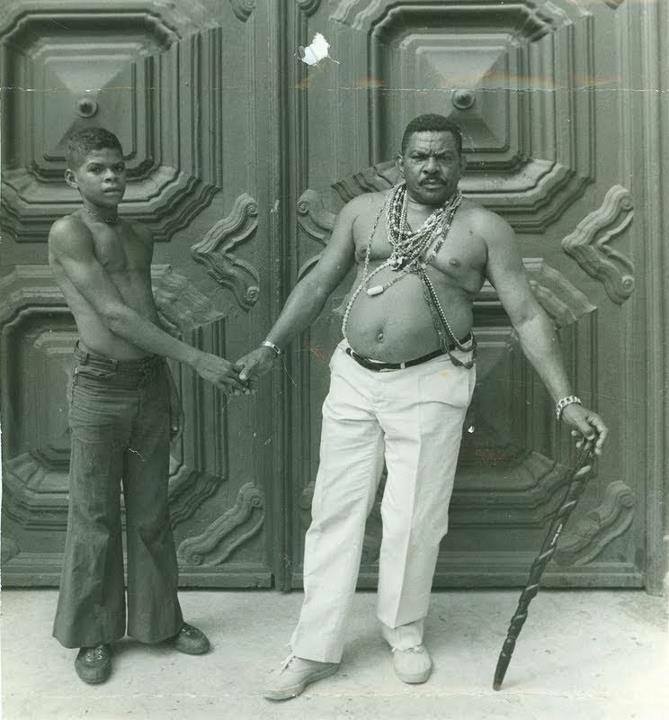 1969 - Launched an LP called Academia de Capoeira Angola São Jorge do Irmãos Unidos de Caiçara where Grácia Maria also sings (listen above). 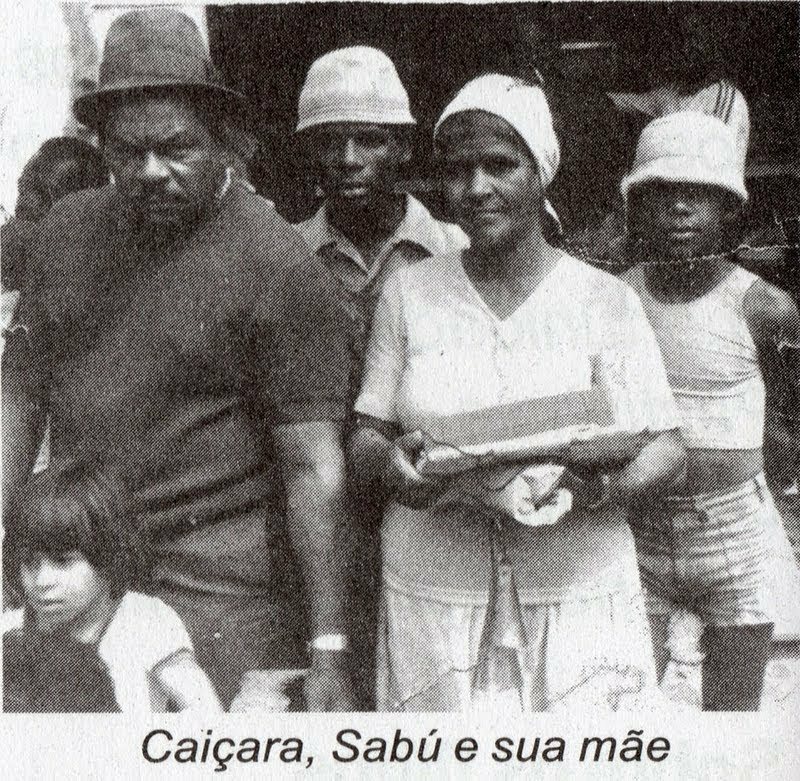 1973 - Rerecorded his LP. 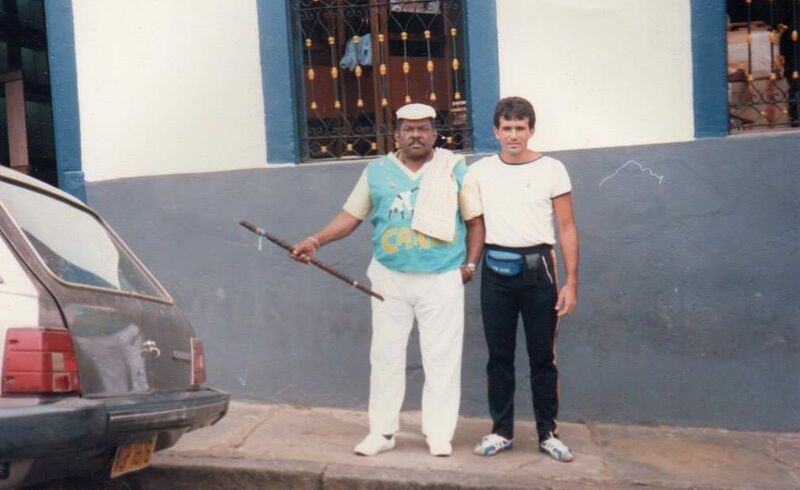 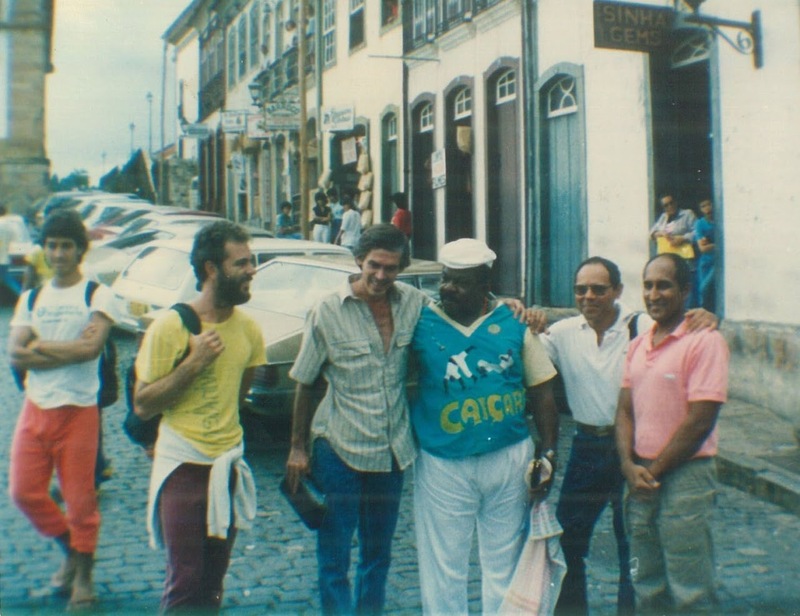 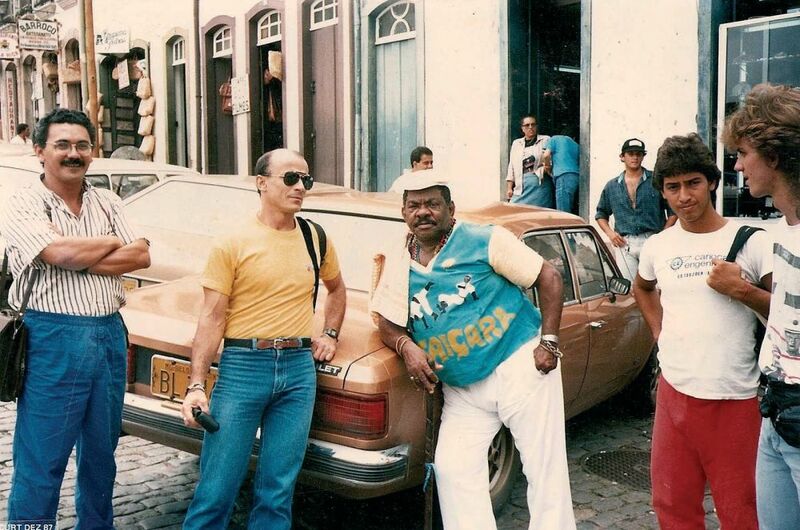 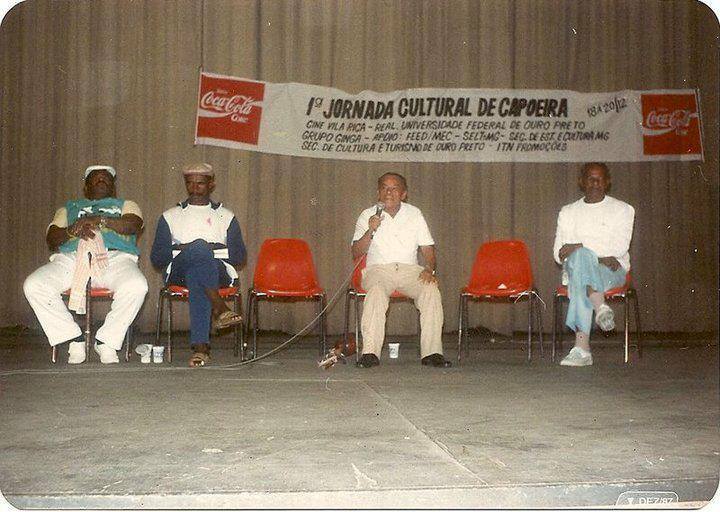 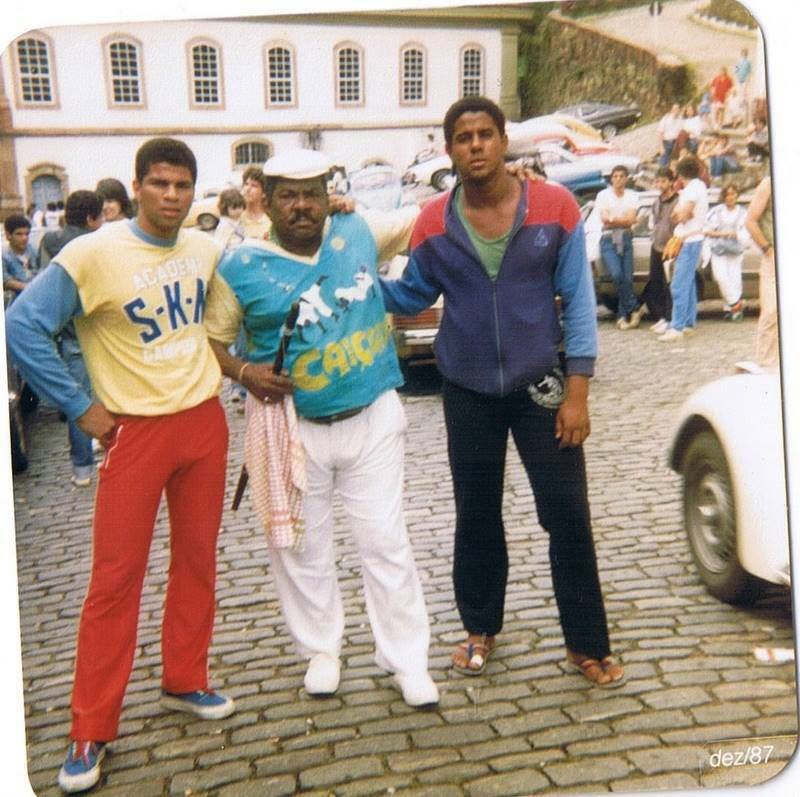 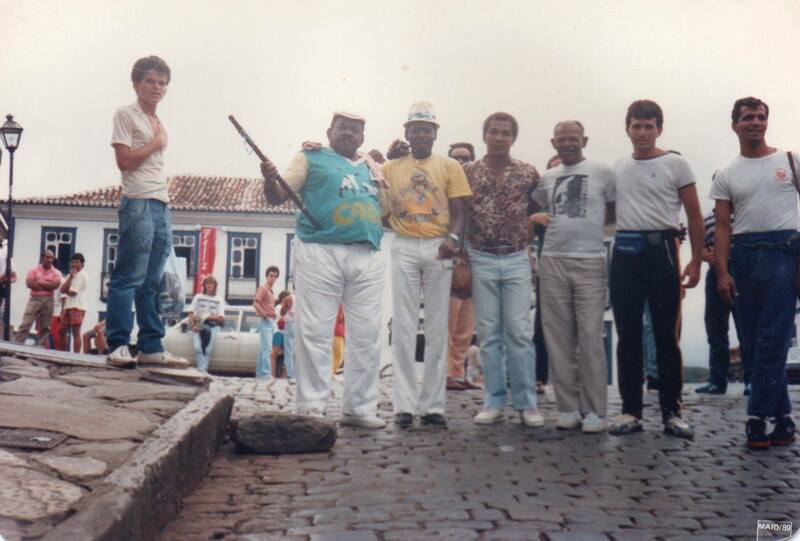 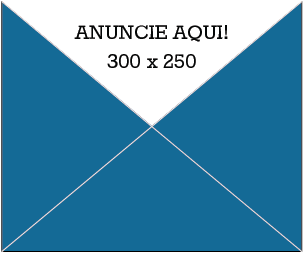 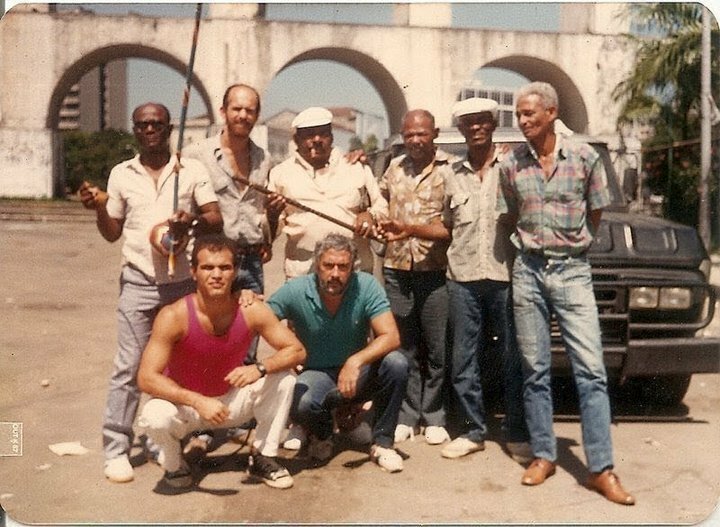 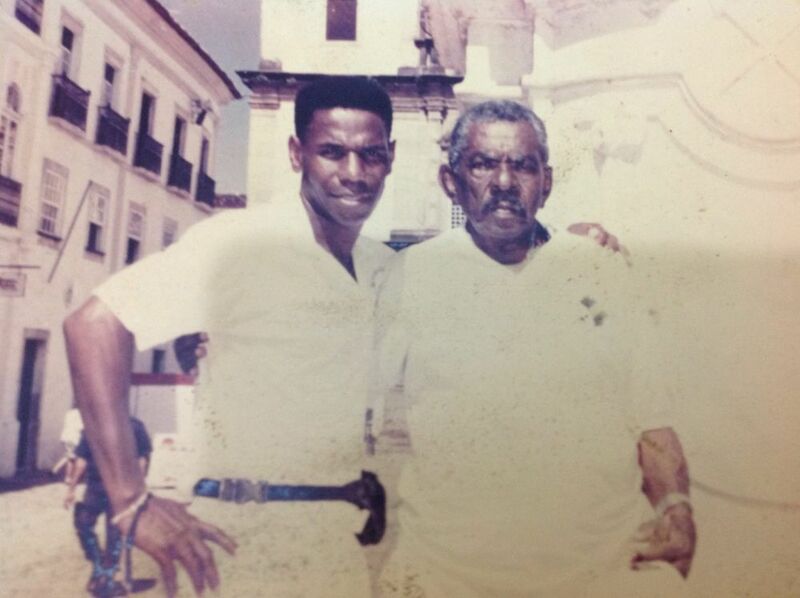 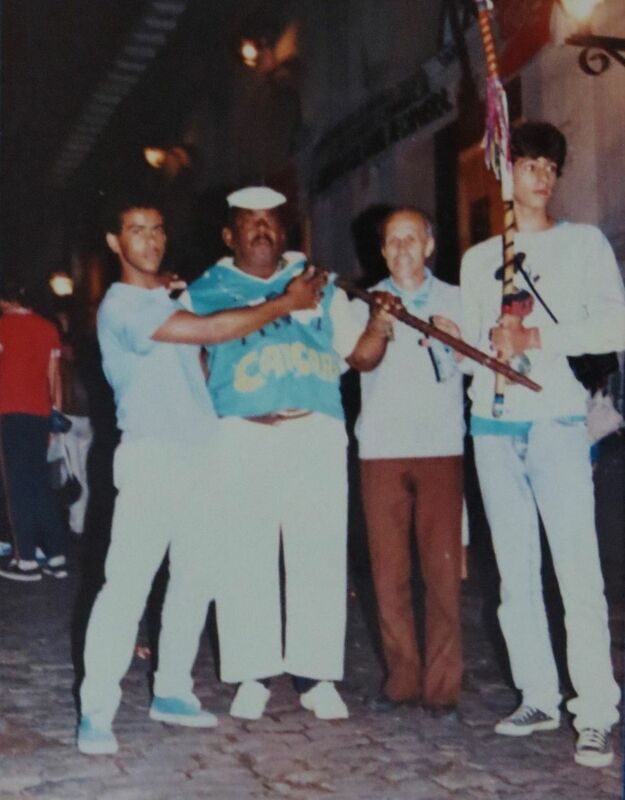 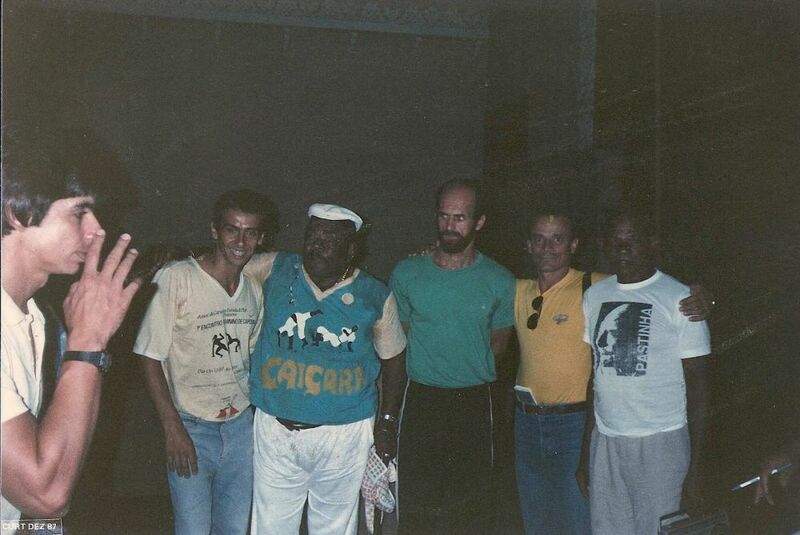 1987 - Participated in the big events in Rio de Janeiro (Nov-Dec) and Ouro Preto (December). 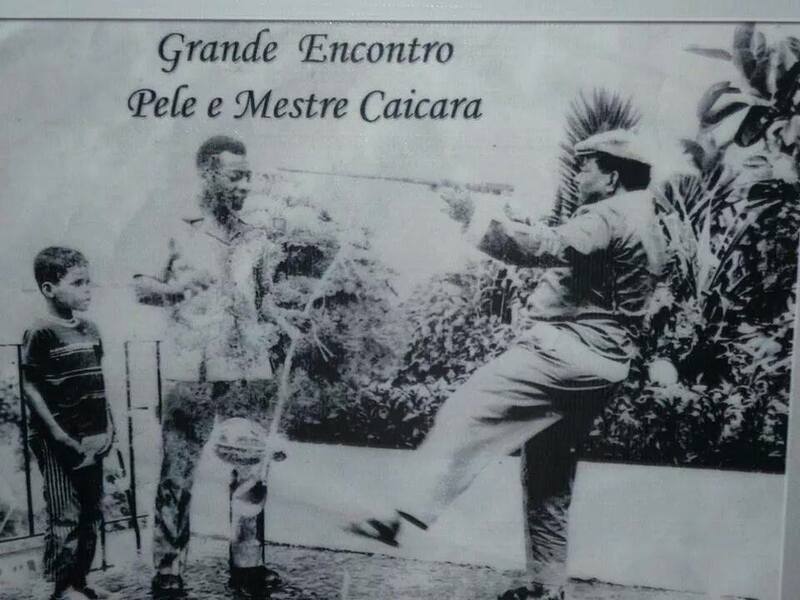 1993 - Rerecorded his LP. 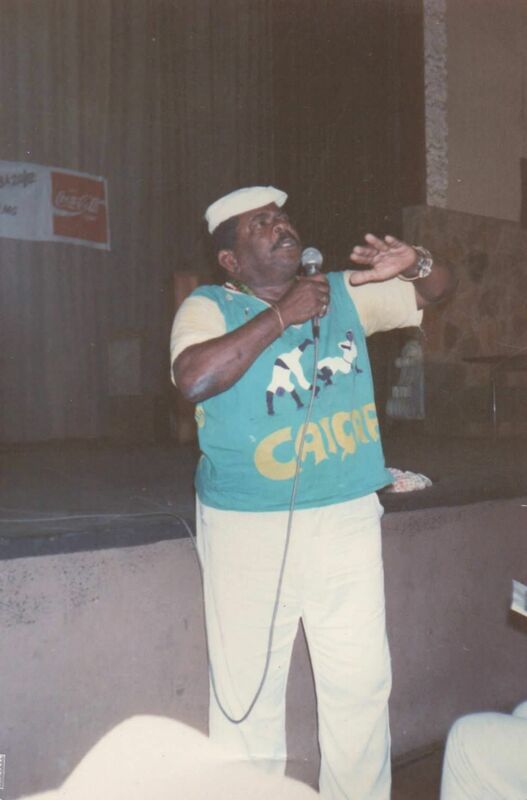 1997 - Died on the 26th of August.